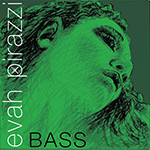 Evah Pirazzi strings have a core made from a modern synthetic multifilament fibre which is wound with chrome steel. 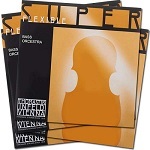 The all-round string set: suitable arco and pizz alike. The sound is big, powerful, dark and well-rounded. Gauge “weich”: Compared to the medium orchestra set the sound of the “weich” strings is brighter and growlier with a little more sustain. 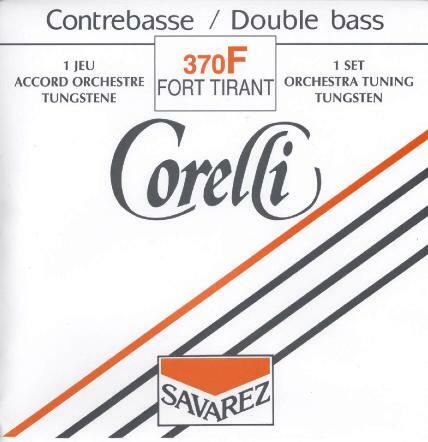 The set has a pronounced core sound. Due to the reduced string tension the playability is easier than with the standard set. Spirocore strings have a flexible multiwire spiral rope core. They offer a longer period of musical vibration and significantly reduce inertia. 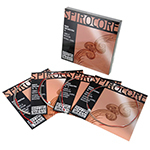 Spirocore strings are equally effective when playing arco or pizzicato. They are highly responsive and long lasting. 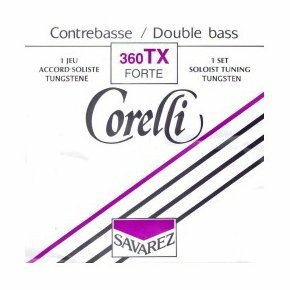 Spirocore strings, widely recognized as “the reference standard” are renowned for their distinctive tone and playability. 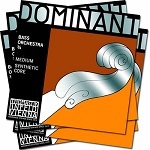 Dominant strings, made with a highly flexible, multi-strand synthetic core, provide the tonal warmth and feel of a gut string while being impervious to changes in humidity. 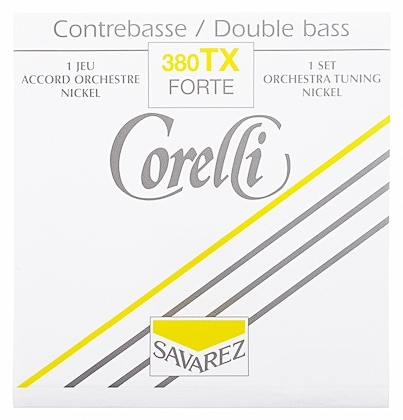 The sound is soft, clear with a stable intonation and they are rich in overtones. 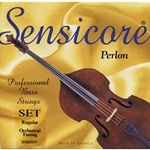 Prazision strings have a solid steel core and produce a beautiful sound with brilliance. They are very durable, have a long life span and present a budget solution for players in all fields.